Public University Admission Tests 2016-17 Probable Date Published. 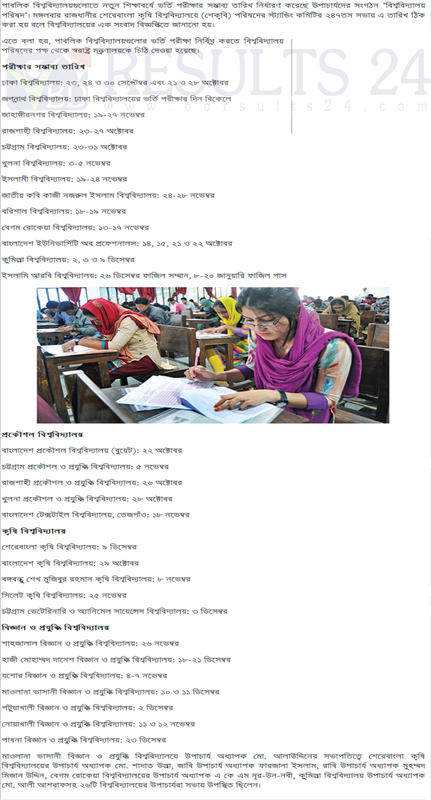 University admission tests to the probable date announced by UGC in Bangladesh. Public Universities Vice Chancellors Association has set the date of the admission of new students, the University Council. Sher-Agriculture University (SAU) 247 th meeting of the Standing Committee of the Council is to fix the date of the press release. The admission test to ensure the public university of the University Council has been given a letter from the Ministry of Home Affairs.